To make room for more information in a table, you can add rows and columns without leaving Word Online. 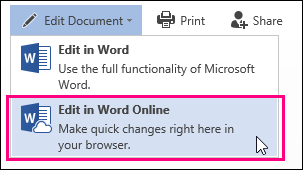 First, if you’re in Reading View, click Edit Document > Edit in Word Online. Click anywhere in the table that you want to change. You’ll see Table Tools appear above the ribbon. Under Table Tools, click Layout. This opens options for inserting rows and columns, plus other table options. 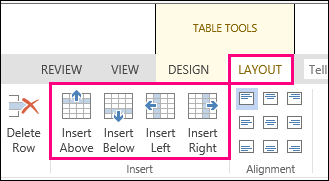 Put your cursor wherever in the table you want to add a column or row. To insert a row, click Insert Above or Insert Below. To insert a column, click Insert Left or Insert Right. 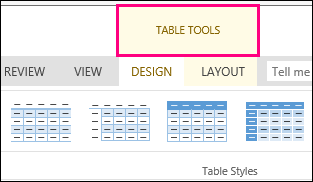 Tip: If you also want to change the look of your table, check out the options on the Table Tools > Design tab.